The changing face of digital marketing baffles many and is exploited by few. Those that are overwhelmed by the thought of more technological developments in a field that has seen so much change in recent years could be forgiven. 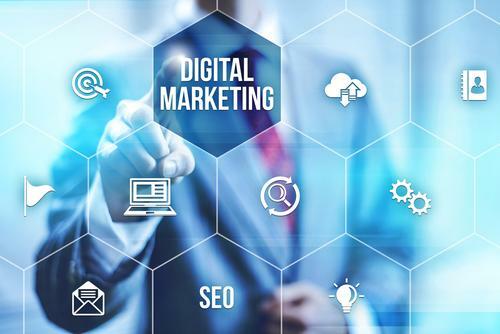 However, it’s not surprising to hear that businesses are struggling with new digital marketing techniques given that they’ve only recently started to implement basic digital strategies. Digital marketing has always been considered a contemporary field or separated entirely from traditional marketing structures. Only in recent years has the importance of digital marketing gained traction. The reality is that developing technologies are now driving relationships with target audiences and the way they engage with products and services. Technologies are becoming more accessible than they ever have been. The likes of artificial intelligence, VR, automation and machine learning are quickly finding their way into businesses both small and large. It’s no secret that businesses everywhere are starting to suffer the consequences of not reacting quickly enough to digitisation and the change in consumer behaviour. Looking at Toys 'R’ Us and Maplin serves as great examples given that they were not reactive to any change in digital marketing and often struggled with their own digital profile. As technologies develop to support the changing needs of consumers so too should your digital marketing strategies, but how is digital marketing changing? There are on-going discussions as to whether the change we’re seeing is positive or negative. Conclusions can be drawn from both sides of the debate, but having a bias is largely unproductive. Digital marketing is going to change irrespective of whether we think it’s a good thing or a bad thing. The change in digital marketing in recent years has been a response to unsolved problems. For example, automation is enabling businesses to hire just one person to manage repetitive tasks that would otherwise demand more resource. Businesses of all sizes are using automation to manage their social media presence as they preschedule posts for the future as well as nurturing leads – allowing them to continue with other business-critical tasks. Similarly, machine learning is simulating the human decision-making process so we’re able to interpret large sets of data very quickly. An example can be seen on Netflix, where they have incorporated machine learning to personalise suggestions after placing users in one of more than two thousand taste groups. Another example would be the utilisation of machine learning to provide real-time personalised advertising on all digital platforms. Improving the relevancy of your content to specific audiences is critical to paid advertising success and, without machine learning, our understanding of audience behaviour is limited. Machine learning and artificial intelligence are also utilised within analytics. We’re now seeing a growth in the use of predictive analytics which makes predictions about future events. Identifying and following audience behaviour on digital platforms is inherently an undervalued tool as 25% of marketers do not use attribution models to measure digital marketing ROI (Wpromote, 2017.) Paying close attention to predictive analytics and attribution models will help to determine what route users will take to convert before they’ve taken it. History shows that businesses have struggled to ensure all their employees have a comprehensive understanding of basic digital marketing concepts. The birth of the information age meant businesses had to close the gap between those that understood basic computing and those that didn’t. A comparison can be drawn to today's situation. In recent years, organisations have invested a lot of time and money in closing the digital marketing information gap, Google’s Digital Garage should be seen as just one example. Businesses have even invested their own time and money in training their staff to be competent in digital marketing and have seen relative success, especially with regards to social media marketing and PPC. A new problem has arisen, however, as there has been another shift in what is now considered a basic understanding of digital marketing. What once was viewed as a good foundation of digital marketing knowledge is no longer the case, the baseline has moved, and more time must be spent bridging the gap. The amount of time and resource a specific business spends on improving digital marketing strategies and techniques will be dependent on its size. Given that new technologies are reducing the amount of resource needed to implement digital marketing strategies, you’d be forgiven for thinking less overall investment is needed, but this isn’t the case. A reallocation of budget into the development of technologies, and bridging the gap between those that are familiar with new digital marketing techniques and those that aren’t, will be imperative in growth strategies in the coming years. As always, strategies that consider the audience will be the most successful. Finding out what platforms your audiences use will support your marketing investment, whilst analysing data and leveraging new technologies on relevant digital marketing platforms will provide a greater long-term ROI. Using technologies such as predictive analytics can benefit companies that need an indication of ROI before making an investment. Looking at attribution models will help to determine what platforms your consumers use. Not everyone needs incredibly complex digital marketing strategies to appeal to consumers, most just need a well-structured digital marketing strategy that is informed by data and supported by new technology where applicable. Finding time to understand the daily changes in Google’s algorithms, to adjust PPC budget or to engage with customers on social media throughout the day whilst responding to enquiries and generating new business can be overwhelming, but it doesn’t have to be. Similarly, keeping up to date with the latest technological advancements is resource heavy but not if you focus on the ones that will add value to your business.